Components made from BASF's Ultrason E (PESU) and Ultrason P (PPSU) can be utilized to reduce aircraft meal trolley weight by up to 40% and provide additional design freedom. ​Ultrason high temperature thermoplastics can be utilized as a metal alternative in many applications such as interior components, overhead bins, and meal trolleys. Components made from BASF’s Ultrason provides a 40% reduction in the weight of a typical trolley, which results in a 140 Kg weight savings for an Airbus A321 airplane. Ultrason E foam can be utilized as core material for the vertical wall panels, while Ultrason P is ideal for extruded profiles and door latch housings. Additional BASF products are suitable for aircraft trolley components such as Ultramid® , Ultradur® , Elastollan® , and Elasturan® which are represented below in Table 1. 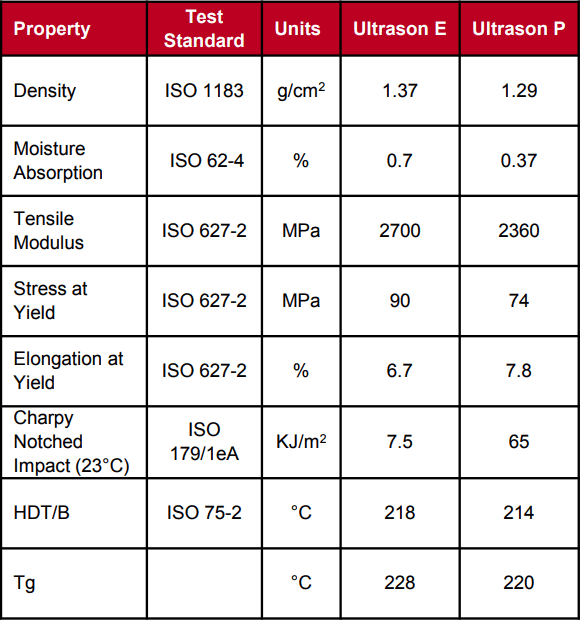 Ultrason E and P are amorphous, high temperature resins based on polyethersulfone (PESU) and polyphenlysulfone (PPSU), respectively. With many desirable properties such as a high stiffness, high mechanical strength, dimensional stability over a wide temperature range, and inherent fire, smoke, and toxicity (FST) behavior, BASF’s aerospace thermoplastics are ideal for many trolley constituents. Ultrason resins are an excellent substitute for thermoset resins, non-recyclable duromers, metals, and ceramics. With all common thermoplastic processing methods available, such as injection molding, extrusion, thermoforming, as well as being foamed, Ultrason materials can be made into almost any shape or size to fit the application need. ​Ultrason E is foamed and sold commercially by the Diab Group as Divinycell® F. This foam core technology provides all of the benefits of BASF’s Ultrason resin in a lightweight alternative to traditional honeycomb technology. Ultrason P 3010, in particular, can be utilized in the exterior components of the trolley such as the door latch housing and extruded profiles due to its outstanding impact and stress cracking behavior. 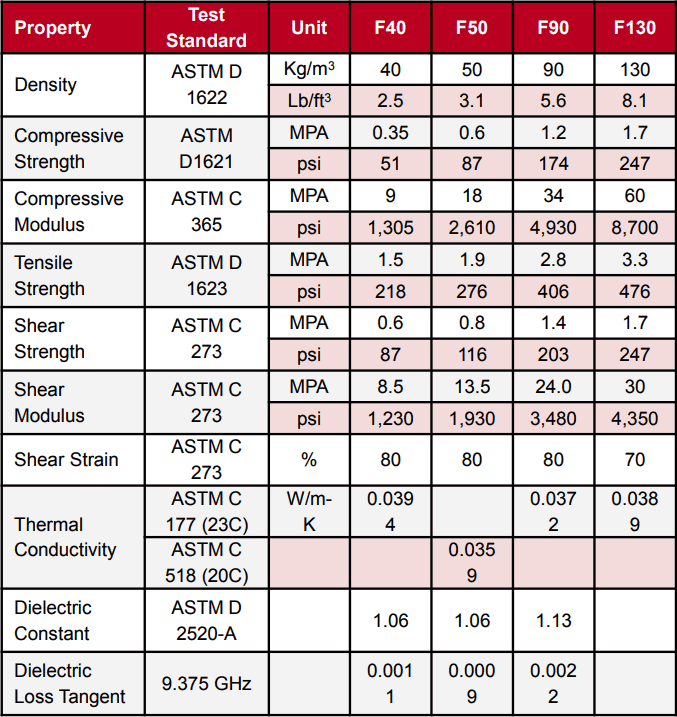 Various physical, mechanical, and thermal properties for Ultrason E and P, and Divinycell F are displayed in Tables 2 and 3, respectively. Ultrason, Ultramid, Ultradur, Elastollan, and Elasturan are registered trademarks of BASF SE. Divinycell F is a registered trademark of The Diab Group. Although all statements and information in this publication are believed to be accurate and reliable, they are presented gratis and for guidance only, and risks and liability for results obtained by use of the products or application of the suggestions described are assumed by the user. NO WARRANTIES OF ANY KIND, EITHER EXPRESSED OR IMPLIED, INCLUDING WARRANTIES OF MERCHANTABILITY OR FITNESS FOR A PARTICULAR PURPOSE, ARE MADE REGARDING PRODUCTS DESCRIBED OR DESIGNS, DATA OR INFORMATION SET FORTH. Statements or suggestions concerning possible use of the products are made without representation or warranty that any such use is free of patent infringement and are not recommendations to infringe any patent. The user should not assume that toxicity data and safety measures are indicated or that other measures may not be required.